RSEC announced that it will be suspending the Summit School program for grades 9–12, and reducing seven staff positions, at the end of the first semester on January 18, 2013. Suspension of the program is due to a significant decline in enrollment of the students served by the school, a trend that similar schools in New Hampshire have seen in recent years. The Summit School, located in Amherst, NH, is one of several programs run by RSEC. Other RSEC programs, including The RSEC Academy and the Longview School, will continue to operate and provide essential services across the state. As the model for serving the educational needs of children with significant special needs continues to move towards inclusion in public schools, the private schools that have previously served these students have seen their enrollments decline. Additionally, school districts are developing and providing further support and alternative services internally for students. As a result, RSEC will be suspending programming at the Summit School and is looking at ways to use their significant experience in this field, in conjunction with area school districts, to continue to support students and families in the region. “The staff at RSEC, as a whole, has significant skills and experience serving this student population and wants to make sure RSEC’s resources are put to use in ways that directly benefit students. We will work with the school districts in every way possible to help facilitate transfers to other schools, including Longview School and The RSEC Academy, as well as other transition options. Our primary responsibility is to the current students and their families,” said Judy Koch, executive director of RSEC. 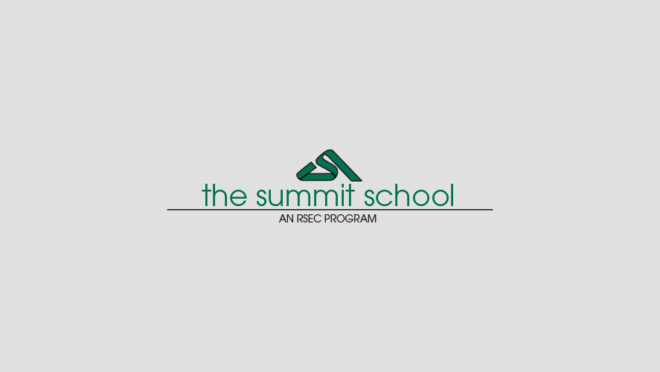 Established in 1988, the Summit School is a state approved, diploma granting, therapeutic day school offering a specialized educational program that includes a hands-on approach, vocational programming and comprehensive transition planning. Students have been placed at the Summit School from approximately 25 different school districts. Enrollment in fall 2010 was 23 and by the January 2013 semester end will be at five students, prompting the decision to suspend operations. For 38 years RSEC has worked to raise the capability of parents and schools in order to help all children and youth become successful. RSEC is expected to make a decision regarding the Summit School and its future direction by June 2013 after consulting with the school districts in the region and performing a needs analysis. “While we are very sad to suspend operations at the Summit School, our other programs remain healthy and we look forward to working with the school districts to address the needs of students within their communities,” Koch said.